Half of Canada’s wildlife species are in decline, according to a new report from the World Wildlife Foundation’s (WWF) Living Planet Report. “Sadly, our research shows wildlife populations in Canada are in serious and significant decline. Even more surprising, the numbers for at-risk species, those protected by law, are just as bad – if not worse,” said the WWF in a statement. The organization monitored 903 Canadian wildlife species – including 106 species of mammals, 386 bird species, 365 fish species, and 46 amphibians – and found that between 1970 to 2014, these animals declined rapidly. This means that 451 of the 903 monitored species showed an 83% population decrease during the 44 years they were studied. “This is true for all monitored wildlife groups, from mammals, to fish, to birds, to amphibians and reptiles,” said WWF. 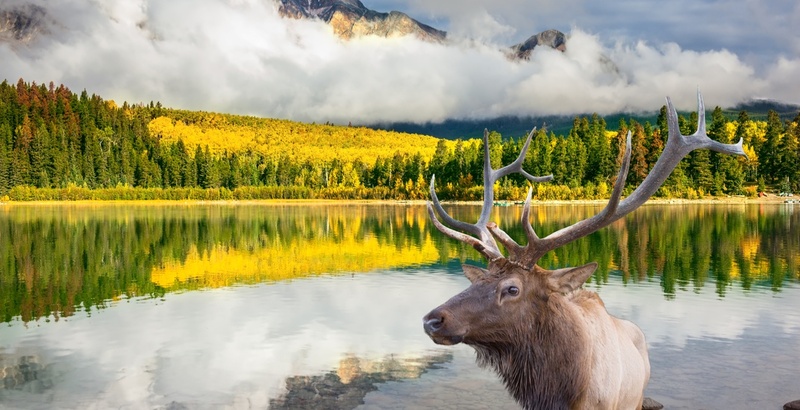 The organization said that habitat loss, climate change, pollution, unstable harvest, invasive species and cumulative and cascading effects are all major factors for the loss of Canadian wildlife. However, of the other half monitored, 407 species showed increases in abundance, and 45 species showed stable trends. The WWF notes that many of these species were recipients of targeted conservation efforts and human built environments. “While these success stories are encouraging, the discovery that half of the monitored wildlife in the study are in decline cannot be ignored,” said the WWF.